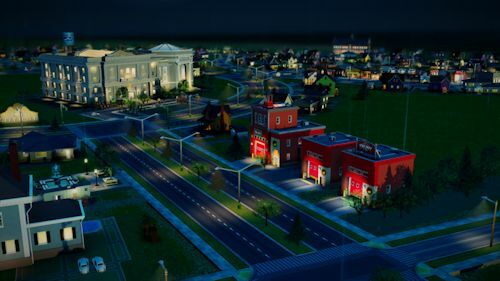 The SimCity launch was the bumpiest ride I have been on since trying to chase a wheel of cheese down the side of a Gloucester hill. Patches have been and gone; some fixes made, but new bugs created. The game is more stable now, but fixes are still required. Therefore, hooray for Patch 3.0, the latest update that hopes to improve Traffic and Transit in particular. Hi Mayors – below you'll find the notes that will appear in Update 3.0 scheduled for release later this week. • New: Added more Hotel models to increase hotel variety. • Traffic: Updated routing system to improve traffic. Routing system now understands more information about u-turns, required vehicle stops, and vehicle behavior on certain road types. This should make traffic smarter. • Traffic: Commercial and industrial buildings stagger their work shifts to start throughout commute hours instead of at the top of the hour. This should reduce traffic. • Traffic: Fixes one issue where a car won't move causing traffic to back up behind it. • Traffic: Vehicles can now make right turns on Red. This should improve some cases of traffic. • Traffic: Trading polish that will improve regional traffic when one city has a lot of jobs and its neighboring city has a lot of workers. • Air Pollution: Fixed more issues where cities that placed air polluting buildings received large amounts of air pollution from unknown sources. • Service Vehicles: Fix for disappearing service vehicles on cities that whose vehicles had disappeared before update 2. • School Buses: Fix for issue where school buses were getting stuck at neighbor's city or arcology. • Audio: Tuned audio on French Police Station. • Trading: Fixed issue where fire servers were not trading consistently between Brakeman's Folly and Twain in Whitewater Valley. • Trading: Sewage trading: Sewage will now take a more direct route to regional sewage plant instead of throughout the city. • Trading: Made gifting more reliable. • Ferry Terminal: Ferry Terminal can now send its sewage to the output pipe and treatment plant. • RCI Tuning: Fixed issue where sims going to a park via transit would sometimes lose their money or happiness on the way home. • RCI Tuning: Bulldozing abandoned or rubble buildings will now prevent new developments for 6-12 hours. • RCI Tuning: Less Happiness is taken from wealth 2 and 3 buildings when rent is due when no money is present. • RCI Tuning: Fix for issue some users experienced where buildings would stay abandoned because moving trucks would not be able to move in. • Trees: Trees now last longer, but also do not eliminate as much ground pollution. • Radiation: Radiation causes less ground pollution than previously. • Transit: Changed thought bubble suggestion to add more trains to deal with crowded passenger trains to suggest that you add more train stations. • Transit: Improvements to lights to make rail look better at night. • Transit: Streetcar stops can now be placed directly on standalone streetcar tracks, and passengers can walk along the tracks to them. • Transit: Tuned the chance buses or streetcars will go to high-traffic stops first as a minor traffic improvement. • Roads: University pedestrian paths can now cross streets. • Manufacturing Trucks: Fixed issue some users experienced where manufacturing trucks left the city and were lost permanently. • Delivery Trucks: Fixed issue where some users would experience a loss of resources is their delivery trucks returned to garages without proper storage. • Sports Parks: Tuned the amount of skateboarders and neighborhood athletes at the sports parks. • Data Layers: Zones are now visible in heavy data layers. • Edit Mode: Added more valid snap points in edit mode. This improvement is most noticeable on Parks. • Buildings: Addressed some cases where buildings would stack on one another. Page created in 0.3055 seconds.